This delicious indulgent dish is more than two consenting adults should finish, but, heh....it's so good!! This recipe screams "RUTH" to me! So, I made this for her, my friend. Let me explain a little....Ruth is a self professed cheese hound...yep, healthy, committed and beautiful, Ruth is a cheese hound! And, if "Fresh Burrata" is on the menu, look out, she is definitely going to have it! 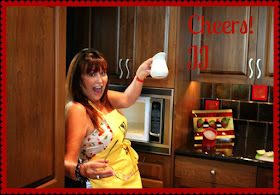 So, when she recently had a surgery, I made up a few dinner's for her and her husband to enjoy while she recovered. I saw this recipe on Epicurious and said, Oh boy, got to do this one for Ruth!! They both loved it! Preheat oven to 425 F degrees. Heat 1 tablespoon butter and 1 tablespoon oil in a large skillet over medium high heat. Add half of mushrooms, season with salt and pepper and cook, stirring occasionally, until browned and starting to crisp, 8- 10 minutes. Transfer to a bowl. Repeat with 1 tablespoon of butter, 1 tablespoon of oil and remaining mushrooms. 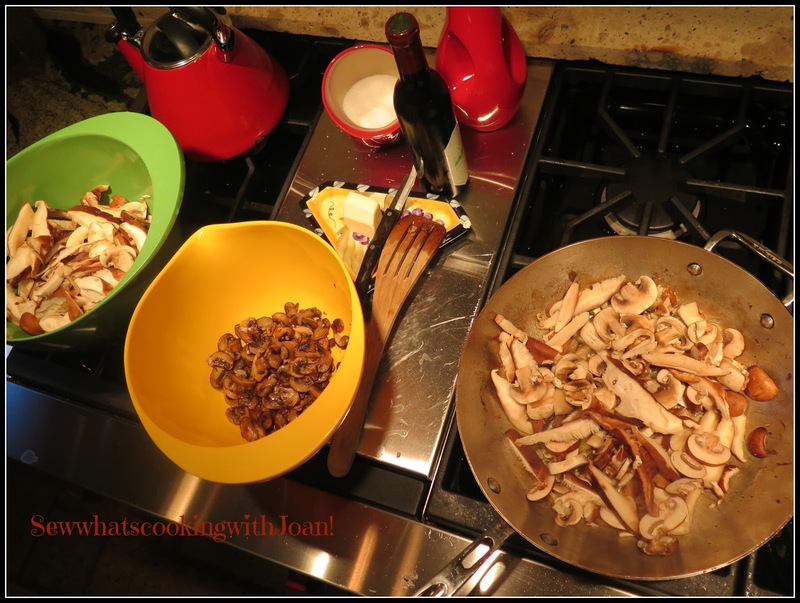 Return all mushrooms to skillet and add shallot, wine ad remaining tablespoon of butter. Cook, stirring occasionally, until skillet is dry, about 5 minutes. Return mushrooms to bowl. Combine ricotta and cream in a small bowl; season with salt and pepper. 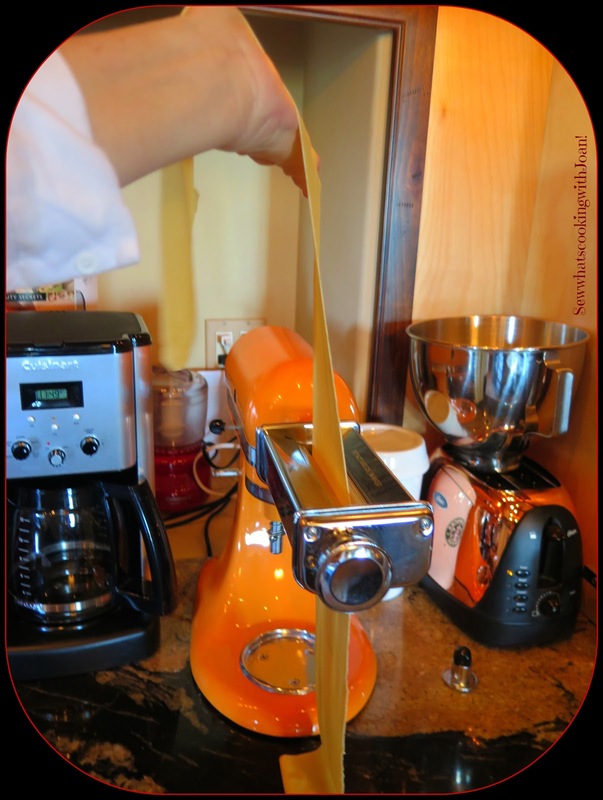 Working in batches, cook pasta in a large pot of boiling water, stirring occasionally, until just softened, about 30 seconds. ( if using dried noodle cook until al dente) Transfer noodles to a large rimmed baking sheet, as you go, brushing with oil and over lapping if necessary. 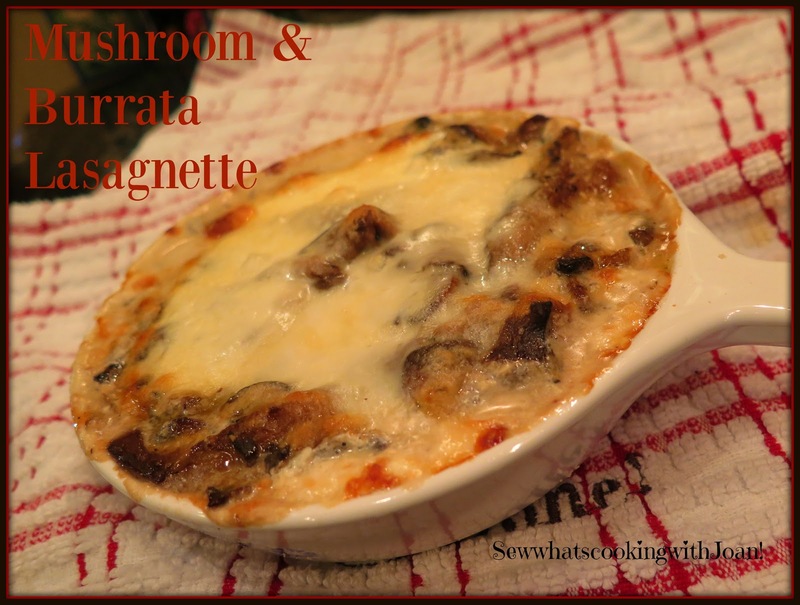 I skip the boiling, as I make my pasta so thin that it cooks in the oven with the cheeses and mushrooms. Spread a thin layer of ricotta mixture in a small baking dish and top with a pasta sheet(if using dried, use 2 noodles side by side). Spread a large spoonful of ricotta mixture over pasta, scatter some mushrooms over, then a few slices of the burrata. Top evenly with Parmesan and 1 teaspoon marjoram leaves. Repeat layering process starting with noodles and ending with marjoram) I was able to get two or three layers in my dish, depending on depth. If you have a deep dish, go up to five layers, finishing with the last of the Parmesan and a grind or two of fresh pepper. Cover the lasagnette with foil and bake until warmed through 10-15 minutes. Remove foil and continue baking until golden brown, 15-20 minutes. Let cool at least 5 minutes. Serve the lasagnette with a garden salad, dressed with a light vinaigrette and some toasty garlic bread! * NOTE - I doubled this recipe, to make for my friends and for Wee Bear and I. However, you could definitely feed two adults and two children with this recipe. Sometimes you sort of feel helpless when a close friend or family member is having a surgery or is ill. Making a meal that can be eaten right away or frozen is a great way to help. I've been asked, "What should I make"? Any of the pasta type dishes can be frozen and served later. I wanted to give the option, as I didn't know if other friends were making dinners, and I knew it would be nice to have something in the freezer for when she would start physical therapy. Ruth and her mate loved this and loved that we made many delicious dinners for them during her recovery. 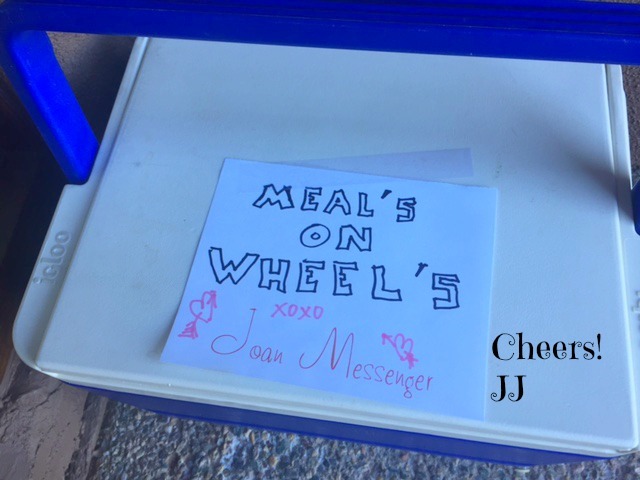 I waited to put a note on the cooler that went back and forth to their house, until I thought she would not only get a nice dinner, but a good laugh!